Smart Talkers:Talking about children's communication from Small Talk SLT: Helping children with SEND to communicate better? Use your tablet computer to help their learning and development. Helping children with SEND to communicate better? Use your tablet computer to help their learning and development. There’s a wealth of mobile software, apps and technology devices that make our everyday lives that little bit easier. The intuitive and interactive nature of these technologies is particularly exciting for children and young people with speech, language and communication needs (SLCN), says Zoe Peden, co-founder of social enterprise Insane Logic. This innovative company believes everyone should have the right to communicate and has set about harnessing new technology to change the way we help children and young people to communicate. It’s estimated that over one million children in the UK – that’s around one in ten – have SLCN. The stakes are high: 50-90% of children with persistent speech, language and communication difficulties go on to have reading difficulties and two thirds of 7-14 year olds with serious behaviour problems have language impairments. The good news is that the advent of tablets and software are giving us tools we’ve never had access to before. Insane Logic has harnessed this technology in partnership with resident Speech and Language Therapists through the development of MyChoicePad – a language development platform for tablets that uses symbols and signs from Makaton. · Things have moved on since the days when the main people using technology in Speech and Language Therapy were AAC practitioners. There are numerous platforms around which can aid and enhance your work supporting children, young people and adults with SLCN. · Some of the best pieces of software allow you to measure and track progress. When setting up user profiles, create character names for the people you support - which also helps safeguard privacy! · Exploit the camera and video functions of tablet devices – put children firmly in control. This is such a motivating way to practice developing steady hands, a careful eye and a sense of timing. · As a value for money resource, one mobile device loaded up with a range of useful apps can bring a little sparkle into your work across a huge caseload. · Engage staff that you work with by scheduling a regular ‘app chat’ slot in team meetings. Map out how individual apps could enhance learning. What language and guidance could the adult provide to support learning and scaffold language development? · Buy an inexpensive cable adaptor to allow children and young people to project directly from the tablet onto your large display screen. It’s a wonderful way to build confidence in speaking to groups, and can make an exciting addition to a lesson or assembly! · Keep business and pleasure safely separated by designating tablet devices as wholly therapeutic resources - keeping documents, mail and admin out of your sessions. Mencap, the UK’s leading charity for people with learning disabilities, collaborated with Insane Logic to enhance their ‘Bags of Ability’ sensory storytelling programme for children aged 2-7 and their carers. Sensory storytelling allows children with learning difficulties to make sense of who they are and what is happening in their lives. MyChoicePad helped the storytelling teams to build on the communication work they were already doing and supported the vocabulary that the children had learnt in their storybooks. For the first time ever, Mencap was able to measure children’s learning week-on-week, making it far easier to track their progress. MyChoicePad is affordable, fun and easy to use. It reinforces language and develops understanding. It is now used by a variety of people with differing needs – from pre-school, mainstream and special schools, to adults with learning disabilities in supported living environments. 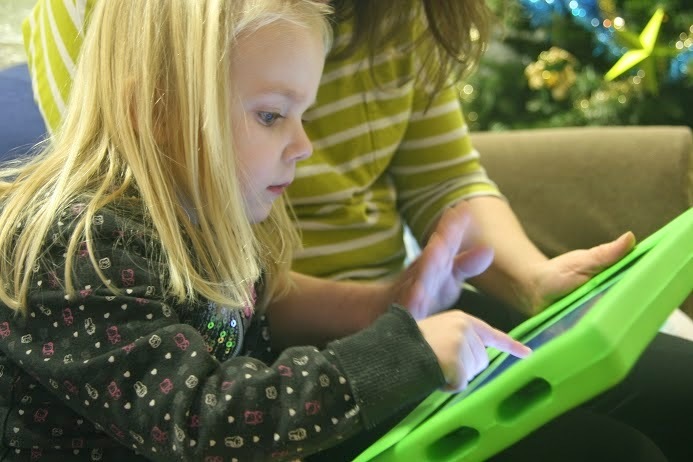 Research with our MyChoicePad users has found that 98% see an improvement in pre-school children’s vocabulary, while 94% report an increase in school-age children’s independence. At Insane Logic, we know that new technology is more than just fun for children with SEND - using language development platforms like MyChoicePad can provide the key to a more independent and fulfilled life. For more information on Insane Logic, visit www.insanelogic.co.uk. Find them on Twitter @InsaneLogicUK, and on Facebook at facebook.com/mychoicepadapp.